I feel like I've neglected my blog a little lately as in the past week I've moved away for University! 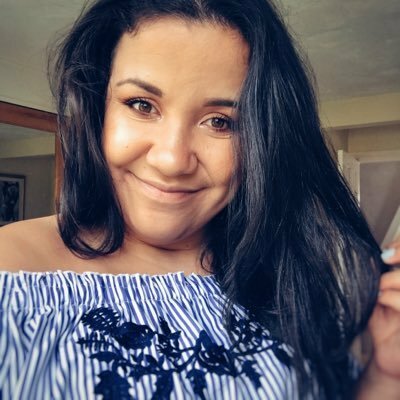 I've moved to Huddersfield and I'm really enjoying the university experience so far. It's been overwhelming but i've only been here just under 2 weeks and it's flown by! 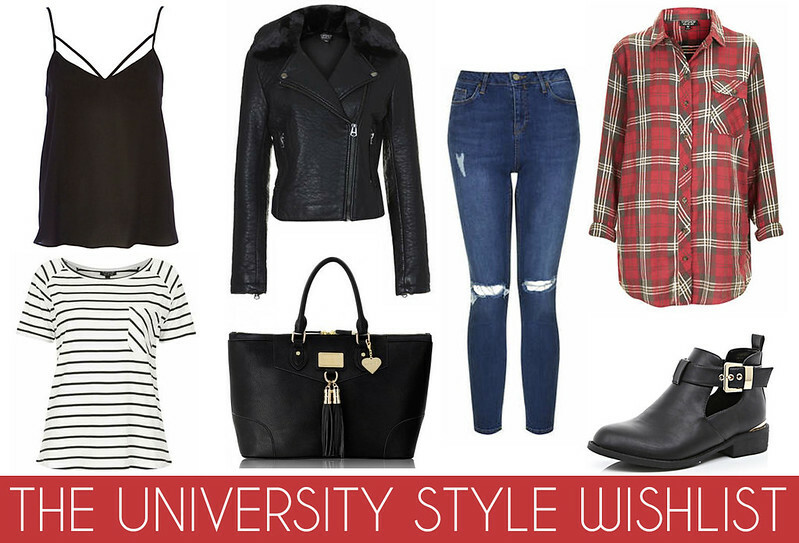 So I thought i'd put together a university style wishlist! Especially because in the next few weeks their will be 20% off student discount offers at all our favourite high-street stores! So University for me is all about being stylish but comfortable. I don't think I'll ever understand why there's girls which turn up to lectures in 5 inch heels? I feel like I can never be separated from my trusty white converse at the moment. Especially since starting university again they are literally the only shoes on my feet! So first on the list is this Black Cami Top. Black cami's are literally the ultimate style essential. You can wear them during the day but also so easily for a night-time look too. I love the detailing on this one too! During the day this would look great with blue ripped jeans (like these Topshop ones) and a pair of these black ankle boots! A faux leather biker jacket like this one is another style essential. This is the sort of jacket you can wear day in, day out all year round. It's a great investment piece and will no doubt last you a couple of years! Ripped jeans are a massive trend this season and these blue ripped jeans from Topshop are an absolute must! They'll go with everything and you can wear them on a night out with a black cami top and heels for a perfect but chilled night-time look. Last but not least I think a style essential this season is to dig out your old tartan shirt (or buy this shiny new pretty one) to last you this Autumn/Winter. You can wear tartan shirts in so many ways but I think they look extra good unbuttoned with a white t-shirt underneath with black skinny jeans and a leather jacket on top! What do you think of my university style essentials? What are your style essentials at the moment? Love that red plaid shirt! lovely picks, I can't understand why girls would wear heels either. I'm so for comfort!! I just love your wishlist, it's a list I could have made myself. Especially the Cut-Out Ankle Boots are amazing, but I need a striped top like the topshop one too. I wouldd love to have a open boot like this, it seems good to warm cities as mine!